Don’t adjust your computer’s settings. 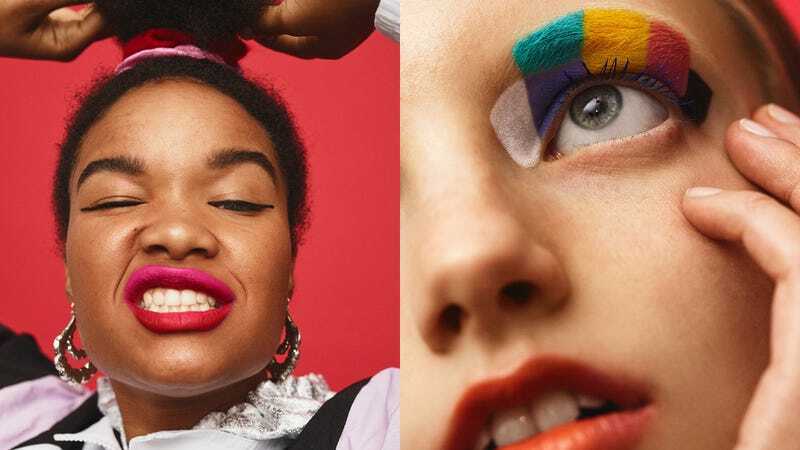 Crayola really did just launch their own beauty line with ASOS. Any one else remember when you were a kid and you tried to use marker to draw on make up? This collection is basically that, except your mother won’t come for you with a washcloth to attempt to take it off your face when you show off your hard work. The entire collection, which is both vegan and cruelty-free, features bold and bright Crayola colors and has something for every part of the face. With 58 pieces in total, it’s no meager limited edition three-piece launch; It’s a full-on beauty line. There are 24 Face Crayons, 12 Lip + Cheek Crayons, two Color Change Lip Crayons, four highlighters, three mascaras, five palettes, a brush kit, and seven trio bundles. While Crayola has done collaborations with Clinque on their iconic Chubby Sticks, this is a whole other level. There are nudes and blacks, bright reds, bold yellows and metallic silvers. There are even some subtle highlighters that look straight out of Milk Makeup’s playbook. You could basically fill an entire crayon box with these “face crayons” and call it a day. They also can be used everywhere, from your eyes to your cheeks to your lips. Everything in the collection is under $40 and will be sold exclusively on ASOS.com, which means you should probably stock up on everything and try it all out before it sells out.